Tesla has announced earlier this year that the company will be closing most of its physical retail stores across the US as part of an overall effort to shift all of its sales online. Only a few flagship stores will remain open for displaying products. For Tesla, the savings of personnel, distribution, and operational costs resulting from the abandonment of physical retail space can be reinvested into its electric vehicle (EV) operation. Specifically, the company wants to free up more of its resources so that it can still make a profit from selling Model 3 at a low price. While Tesla is ratcheting up the price competition in EV market, it is done at the expense of its solar panel manufacturing and installation business, which was established in 2016 via the acquisition of SolarCity. To cut personnel cost, Tesla has already dismantled the original retail network of SolarCity and is selling panels through its own stores. Now that Tesla will also be reducing its physical retail presence, the future of the company’s solar panel business becomes more uncertain. SolarCity was once the global leader in solar panel installation, though its business model was more aligned with the business models of equity trading firms working in the financial market than those of its peers in the solar industry. SolarCity wanted to lease solar panels to its customers instead of selling them. Many of its customers entered an agreement to have solar panels installed on the roof of their homes and pay a monthly fee for the electricity that the panels generate. The monthly rate that SolarCity charged was usually much lower than the standard utility rate of a given location, and the savings on home energy bills could more than cover it. On the surface, the leasing of solar panels mainly benefitted consumers and brought little revenue to SolarCity. However, SolarCity earned incomes from the installation and equipment fees and from the subsidies provided under the federal Investment Tax Credit (ITC). Also, a major part of SolarCity’s revenue stream is derived from fundraising in the financial market. SolarCity repackaged ITC and leases of its customers (i.e. future rents on solar panels) into financial products and sold them to raise cash up front. Indeed, the company focused more on engaging speculative activities in the financial market than on selling actual products and services. SolarCity’s business model of leasing solar panels ran into trouble after the US government had established a sunset period for ITC, and it became less viable over time as prices of residential solar systems fell rapidly. Consumers in the US found that installing solar panels on their own is much more economical and allows them to accrue all the financial benefits of adopting renewable generation (as opposed to having a third party continuously siphon off a part of the saving on energy costs). Facing a steady decline in revenue and installations, SolarCity could only seek help from Tesla CEO Elon Musk because of his personal connection with its senior management. Against the opposition from many of its shareholders, Musk in 2016 pushed Tesla to acquire SolarCity for shares valuing USD 2.6 billion and the assumption of a debt of US$3 billion. SolarCity was then merged into Tesla’s solar energy unit. Following the acquisition, Tesla began an aggressive effort to make its operations leaner. For its solar energy business, the company stopped the door-to-door sales of solar panels. 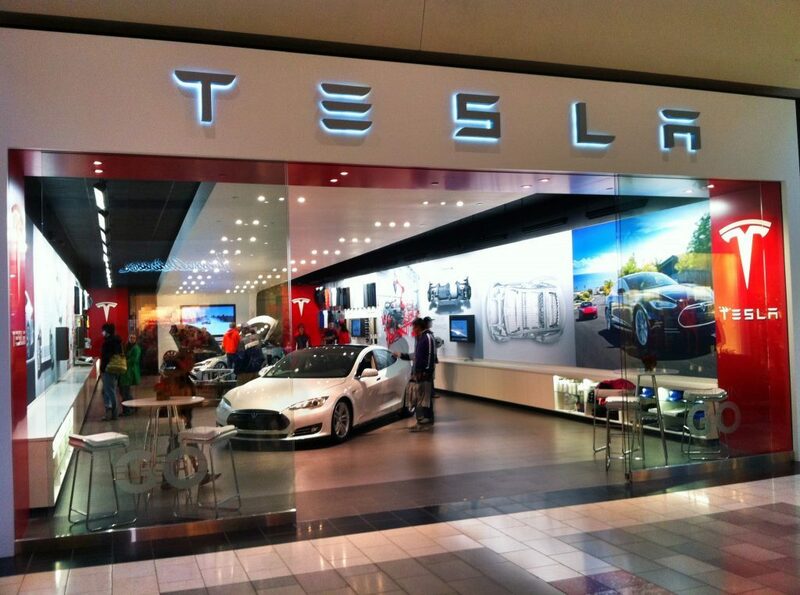 There was an attempt to form an in-store partnership with Home Depot, but the collaboration was quickly terminated as Tesla later made the turnabout decision to have its products distributed solely through its stores and website. Due to the restructuring and the abrupt change in strategy, Tesla’s share of the US residential solar market (in terms of installations) has shrunk considerably, thereby allowing its rival Sunrun to take the title of market leader. According to an analysis by Wood Mackenzie, Tesla’s solar panel installations for the quarterly period plummeted from 272MW in the fourth quarter of 2015 to just 73MW in the fourth quarter of 2018. This figure continues to fall. Tesla initially hoped that it could easily market its residential solar systems and the accompanying energy storage batteries to the buyers of its vehicles. However, the cross-selling synergy between EVs and solar panels has turned out to be much weaker than anticipated. Tesla offers three options for acquiring solar panels: purchase, finance, and lease. As mentioned earlier, buying solar panels outright is the most sensible choice for consumers in the US. However, most buyers of Tesla vehicles believe that they have already made a hefty investment with EV adoption and are unwilling to spend another huge sum of money on getting a combined solar and energy storage system. Of course, there are people who do not own a Tesla vehicle but are interested in solar energy solutions developed by the same company. Nevertheless, the decision to shutter most of the retail stores poses the difficult question of how to promote these related products and services in the future. Tesla Solar Roof – solar glass tiles that can be integrated into the roof of a home – was announced personally by Musk with much fanfare in late 2016. However, the massive amount of media attention that this technology received early on did not translate to significant traction in the residential solar market. Musk earlier boasted that the deployment of Tesla Solar Roof has expanded to hundreds of homes. In reality, his company since the launch of the product two and a half years ago has actually managed to connect only a dozen or so of its solar-integrated roofs to the grid. Musk does not seem to be discouraged by the actual sales data and recently stated that Tesla plans to raise the production of Solar Roof in 2019. It remains to be seen whether Musk is doing another PR exercise to justify the SolarCity deal or he is committed to the success of Tesla Solar Roof. As for closing most of its retail stores, there is a possibility that this move could end badly as did other attempts to improve the efficiency of the solar energy unit (i.e. sharp declines in installations). Perhaps Tesla intends to shrink and eventually close this loss-incurring business unit so as to lessen the financial burden on the entire company. If that is the case, then Tesla’s acquisition of SolarCity will appear more like a deal to help stockholders of the latter company at the tremendous expense of the former.